What inspired you to become the Take Charge! Coach and Mentor? 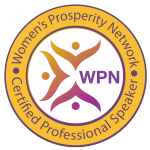 Once I retired from teaching, my husband having passed away and my son living in Miami, I felt I needed a new purpose or a better way of saying it is, I needed a new way to express my purpose. I tried different volunteer options, but that wasn’t enough. I worked on developing my intuition further and was called to Tarot. What inspired you to combine Tarot and Astrology? I’ve always loved astrology and have been following and studying it for 45 years. The introduction of tarot into my life has created a whole new passion and direction. I found I could intuitively feel the cards. 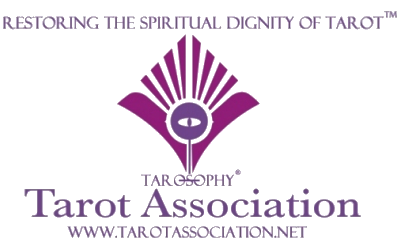 Applying tarot cards to the astrological chart offers a more in-depth and layered reading. Negative feedback by family, media, politics and society can leave us with the impression that we don’t have a chance. I share positive energy with my clients to inspire and uplift by helping them see the possibility of new perspectives and choices. What is your goal with your clients as the Take Charge Coach and Mentor? My goal? To help people embrace a fearless life and to offer choices in a world where we can sometimes feel we have none. Life is beautiful even with the ups and downs. Sometimes we just need help seeing that beauty. My goal is to offer that positive sight. I use Divine Accountability as part of my program to help my clients hold the vision of their goal and outcome that they desire when working with me. Making behavior or mindset changes on your own can be difficult. I have your back to help make faster progress, but not to make anyone dependent on me. It’s about becoming stronger and more focused to reach your goal. So have you had any formal training or education that has helped you become Donna Tornillo, the Take Charge! Coach and Mentor? I received my Bachelor of Science in Education from Florida Atlantic University and my Masters in Guidance and Counseling from there, also. That formal education prepared me for my years of teaching elementary school children. Working with students daily and helping them stay focused and accountable is experience for Divine Accountability. I’ve had major challenges in my life which offered me the opportunity to be learn and to be more authentic. By reinventing myself, I’ve had the chance to start life over with new goals and outcomes. Learning, teaching and helping others to be aware of the choices they have in life, to become empowered and fulfilled, to live with passion, power and purpose is definitely a passion of mine. Divine Accountability is being accountable to yourself and your divine purpose for being here. As your Take Charge! Coach and Mentor, I help you hold the vision and stay accountable to the goals you’ve set for yourself. The myth of making behavior change in 21 days is just that, a MYTH. Research has shown that to make even a small behavior change takes 66 days and can take up to 256 days for major behavior and mindset changes. That’s not just a lot of time. It’s also work and focus on your part. I help you honor your commitment to yourself, stay focused and accountable to your goals. You don’t have to do it alone. I have your back.